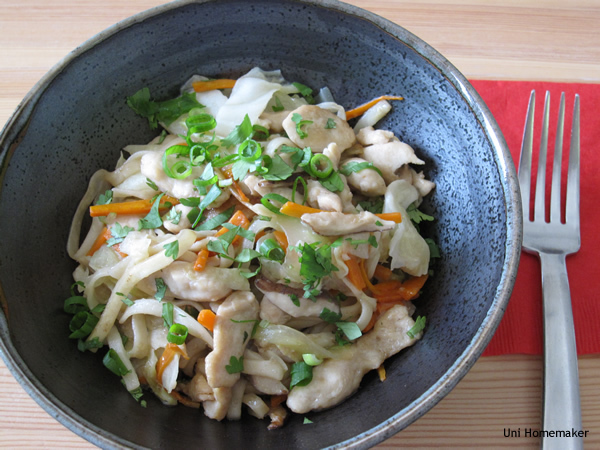 Chow mein is one of those dish that you can throw whatever meat or veggies you have on hand. I love ordering them at restaurants but I always feel guilty afterwards for eating it because of all the grease and MSG. When you cook it at home, it’s just so much healthier. Plus, they make wonderful leftovers the next day. Here’s my version of it.